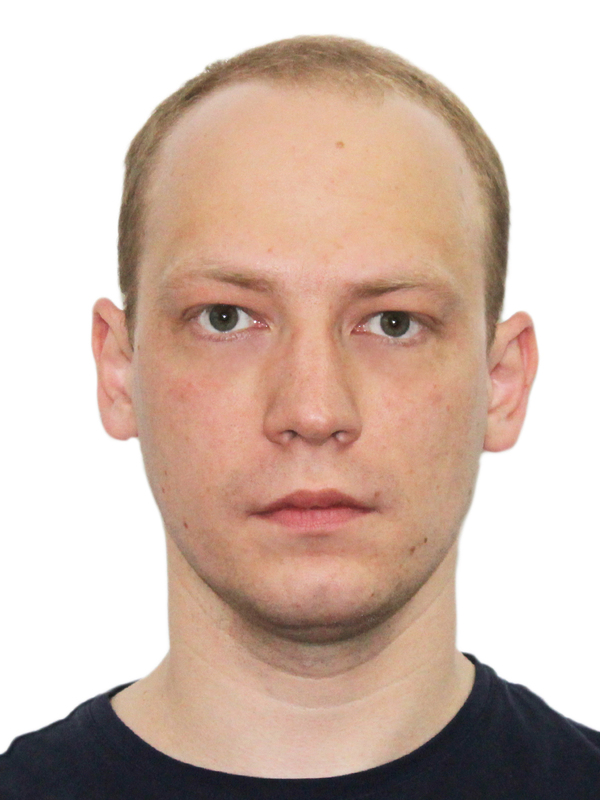 Yury is a graduate of the Moscow Institute of Physics and Technology (MIPT). After obtaining the Candidate of Sciences degree in discrete mathematics, he joined INRIA Rhone –Alpes and Grenoble Alpes University, France, as a postdoctoral researcher and turned his interest to statistical machine learning and optimization. Today, his research interests and experience include discrete mathematics, huge-scale convex optimization, statistics and statistical machine learning, as well as their engineering. Throughout his career, Yury always showed a deep appreciation of fundamental knowledge and strong practical motivation. He was a Team Lead and PI of multiple industrial projects on huge-scale optimization for telecommunication and railways networks. Prior to joining Skoltech, Yuri was an Associate Professor at the Department of Computer Science at the National Research University Higher School of Economics (HSE), MIPT Department of Control and Applied Mathematics, and a Research scientist at the Institute for Information Transmission Problem RAS (IITP RAS). In 2015, Yury formed a research group “Optimization and Statistical Learning” of talented BSc, MSc and PhD students from MIPT, HSE and IITP, who conduct the research on the border of numerical optimization, computational complexity and statistics/statistical learning with a special focus on application of the research results in networking, engineering and physics. They also do research motivated by industrial applications arising from their collaboration within IITP and PreMoLab MIPT teams with Huawei, Genplan Moscow and other companies. Yury is also an inspiring teacher readily sharing his knowledge and encouraging his students to take upon real challenges. Yuri taught undergraduate and graduate courses in applied mathematics at MIPT and HSE, and gave a number of invited talks and lectures at Weierstrass Institute for Applied Analysis and Stochastics (Berlin), Yandex (Yekaterinburg), Baltic Federal University (Kaliningrad), Bosch (Stuttgart) among others. Since November of 2015, Yury has held weekly research seminars on Modern Huge-Scale Optimization at IITP RAS. Optimization, learning and engineering applications: discrete and convex optimization, computational complexity, statistical learning, network design and control (including engineering problems that arise in power flow and transportation networks). Peculiar spectral statistics of ensembles of trees and star-like graphs. Journal of Statistical Mechanics: Theory and Experiment (JSTAT); 2017, 073402. Joint with Valerya Kovaleva, Sergei Nechaev, and Olga Valba. Searching Equillibriums in Beckmann’s and Nesterov–de Palma’s Models, Mathematical Models and Computer Simulations (to appear), 28(10):40–64. October 2016. Joint with Gasnikov, A., Yu. Dorn, and P. Dvurechensky. Rademacher Complexity Bounds for a Penalized Multiclass Semi-supervised Algorithm. arXiv preprint arXiv:1607.00567. J Artificial Intelligence Research, review. 2016. Joint with M.-R. Amini, and Z. Harchaoui. Reduction Based Similarity Learning for High Dimensional Problems. Pattern Recognition and Image Analysis, 26(2):374–378. April 2016. Joint with Iofina, G.
Tight Risk Bounds for Multi-Class Margin Classifiers. Pattern Recognition and Image Analysis, 26:4, 2016. https://arxiv.org/abs/1507.03040. 2016. Joint with D. Reshetova. Effective Numerical Methods for Huge-scale Linear Systems with Double-sparsity and Applications to PageRank. MIPT Proceedings, 7(4):74–94. 2015. Joint with Anikin, A., A. Gasnikov, A. Gornov, D. Kamzolov, and Yu. Nesterov. Multiclass One-vs-All Classifer Complexity. MIPT Proceedings, 7(4):59–66. 2015. Joint with Reshetova, D.
Shortest and Minimal Disjunctive Normal Forms of Complete Functions. Computational Mathematics and Mathematical Physics, 55(7):1242–1255. Dimensionality reduction for multi-class learning problems reduced to multiple binary problems. Journal of Machine Learning and Data Analysis. 1(9):1273:1290. 2014. Joint with Karasikov, M.
Implementation of Boolean Functions with a Bounded Number of Zeros by Disjunctive Normal Forms. Computational Mathematics and Mathematical Physics, 53(9):1391–1409, 2013. Comparative Analysis of the Complexity of Boolean Functions with a Small Number of Zeros. Doklady Mathematics, 86(3):854–856. 2012. Simple Disjunctive Normal Forms of Boolean Functions with a Restricted Number of Zeros. Doklady Mathematics, 86(1):480–482. 2012. Correct Algebras Over Estimation Algorithms in the Set of Regular Recognition Problems with Nonoverlapping Classes. Computational Mathematics and Mathematical Physics, 49(7): 1264–1275. 2009. Aggressive Sampling for Multi-class to Binary Reduction with Applications to Text Classification. Advances in Neural Information Processing (NIPS) 2017. Joint with Massih-Reza Amini, Bikash Joshi, Frank Iutzeler, and Ioannis Partalas. Efficient Rank Minimization to Tighten Semidefinite Programming for Unconstrained Binary Quadratic Optimization. 55-th IEEE Allerton Conference on Communication, Control, and Computing. Joint with Roman Pogodin, and Mikhail Krechetov. Generalization Error Bounds for Multi-Class Classi-fiers”. Information Technologies and Systems (ITAS-39), 6-11 September 2015. Best paper award. Joint with Reshetova, D.
High-Dimensional Undetermined Linear Systems: Numerical Methods and Modeling Assumptions. Infor-mation Technologies and Systems (ITAS-39), 6-11 September 2015. Joint with Anikin, A., N. Buzun, P. Dvurechensky, A. Gagloev, A. Gasnikov, A. Golov, A. Gornov, A. Gubaydullin, M. Mendel and V. Spokoiny. Optimal Protein Packing by Convex Optimization. Information Technologies and Systems (ITAS-39), 6-11 September 2015. Joint with Podkopaev, A. A new Method for Learning Similarity Functions in High Dimensional Problems. 9-th Open Russian German Workshop on Pattern Recognition and Image Understanding (OGRW-9). Koblenz, Germany, 1-5 December 2014. Joint with Iofina, G.
Maximization of Trigonometric Polynomials over the Sphere and Approximation Bounds for Boolean Quadratic Programming Problems. Information Technologies and Systems (ITAS-37). September 2013. Fast Logical Predictors for Genotype-Phenotype Mapping. 20-th International Conference of Operational Research Societes (IFORS-20). Barcelona, July 2014. Joint with Iofina, G., A. Minaev, Yu. Polyakov. Gagloev, A., N. Buzun, Yu. Dorn, A. Gasnikov, A. Golov, A. Gubaydullin, Yu. Maximov and M. Mendel. “Sparsity and randomization techniques in huge scale traffic matrix estimation problems”, The 5th International Conference on Network Analysis (NET-2015), Nizhny Novgorod, May 2015. Maximov, Yu. Effective numerical methods for huge-scale sparse linear systems with applications to the PageRank problem. University Grenoble-Alpes, Grenoble, France. 27 July, 2016. Maximov, Yu. Structured Semi-Definite Programming with Applications to Non-Gaussian Component Analysis. Weierstrass Institute for Applied Analysis and Stochastics, Berlin, Germany. 25 May, 2016. Maximov, Yu. Efficient Algorithms for the PageRank Problem. Russian Academy of Sciences, Nanotechnology and Information Science Department, Moscow, 8 November 2015. Maximov, Yu. Efficient Numerical Methods for Huge-Scale Problems with Structured Sparsity (invited plenary talk). Bosch CRIMSON X-Divisional Workshop on Optimization, Stuttgart, Germany. 9-10 September, 2015.